Today Activision revealed Destiny: The Collection would be coming to current-gen consoles next month. It’s a re-release of all Destiny-related content produced so far, and it also comes with the new Rise of Iron. The base game, The Dark Below, House of Wolves, and The Taken King are all included too, and there’s even a single character boost that newcomers can use to level up and join their veteran friends. Does all this come at a discount price? ……No, it does not; it’s the usual $60, most likely because Rise of Iron is included. 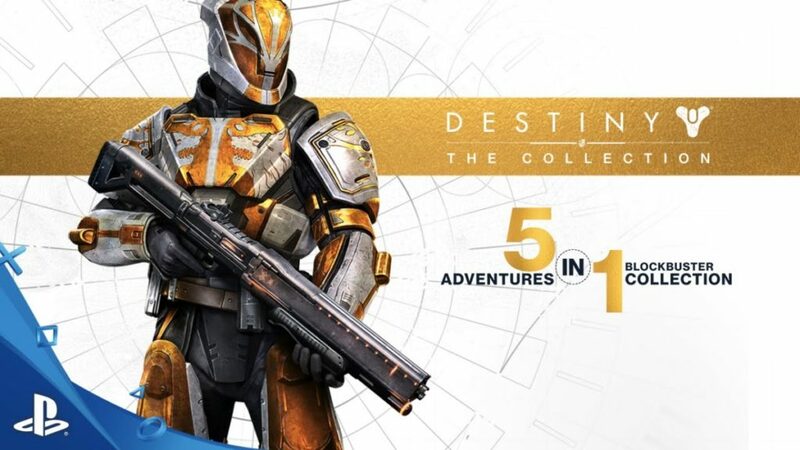 There’s a version that Activision will let you have for $40, but it’s a special bit of circumstances….you have to be stuck with the last-gen version of Destiny. If you’re still playing the game on PS3 or 360 despite all the warnings we’ve been giving you, Activision is offering another act of mercy by discounting Destiny: The Collection for those wishing to upgrade. You’ll be able to transfer your original character and all your work, but you must own The Taken King and the transfer can only take place within the platform family you own (makes sense). The upgrade is digital-only; if you’re interested, here’s where to start the process. Destiny: The Collection will be out for Playstation 4 and XBox One September 20.